The prize, sponsored by Wiley is worth £5,000 and is awarded annually for achievement in research by an outstanding early career economist. 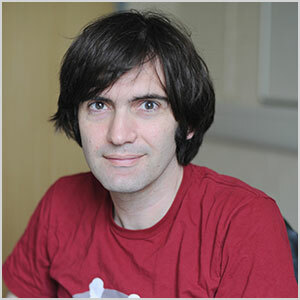 Associate Professor Mirko Draca was named by the British Academy and Wiley as the winner of this year’s prize for his academic excellence in the field of economic history, especially for his work on the effect of Chinese imports. Nominations can be for research in any field of economics or economic history, and are made by Heads of Department of Economics (or equivalent) in UK HE institutions. 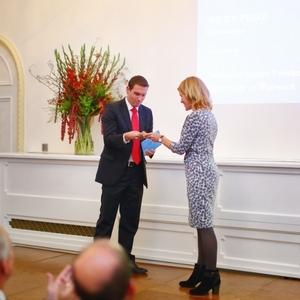 "I'm very honoured, pleased and excited to receive the Wiley Prize in Economics. It feels very satisfying to have made a contribution to the flourishing and energetic UK economics research community. I'd like to the thank the groups that have provided a really inspirational environment for me over the years: the Department of Economics and CAGE research centre at Warwick, the Centre for Economic Performance at the LSE, and the UCL Department of Economics. These groups have all made massive contributions to social science and public policy in the UK. In an era when the value of independent expertise is being aggressively challenged this type of research is more important than ever". This is not the first time the award has been given to a Warwick Economics Professor. In 2016, Professor James Fenske (pictured left) was awarded the prize in 2016. Previous award winners include Dr Matthew Elliott from the University of Cambridge (2017), Dr Johannes Spinnewijn from the London School of Economics and Political Science (2015), Dr Vasco Carvalho from the University of Cambridge (2014) and Professor Phillip Kircher from the University of Edinburgh (2013). Further details of the awards can be found on the British Academy website.